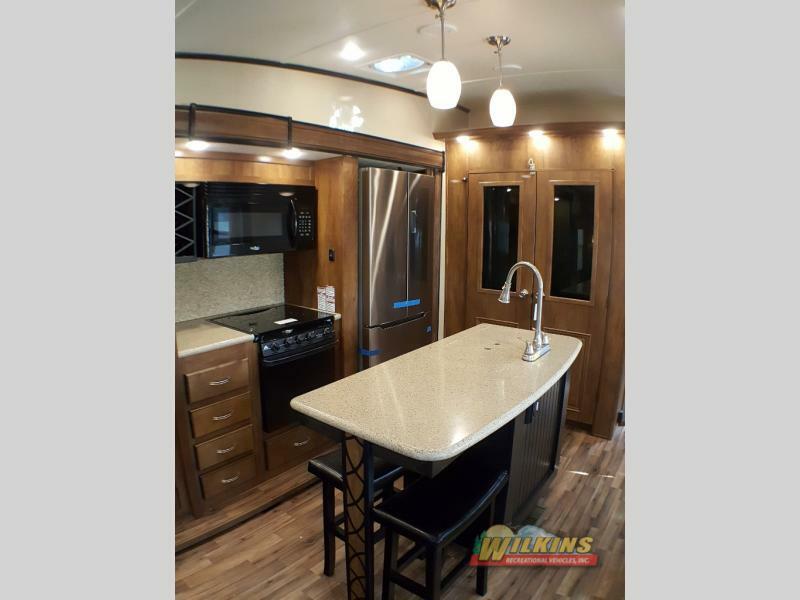 The newly released 2018 Coachmen Chaparral Fifth Wheel is here and it is gorgeous! 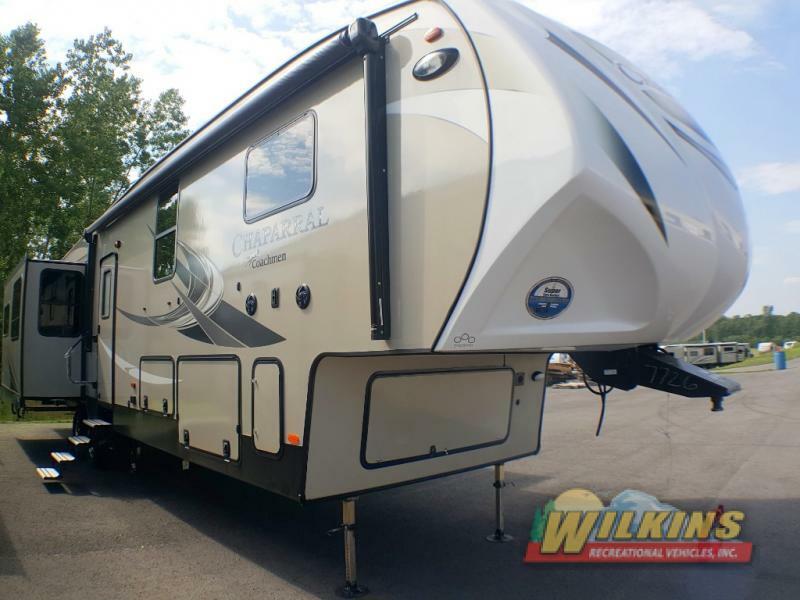 Don’t miss out on viewing the Chaparral On Sale at the Wilkins RV booth at the Hershey, PA RV Show, with it’s groundbreaking innovations and stylish good looks. 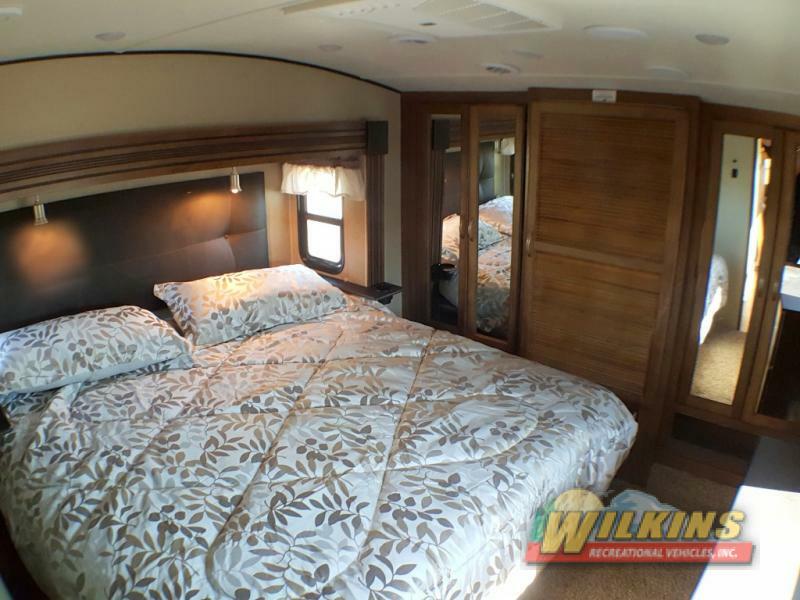 Wilkins RV has three locations at America Largest RV Show in Hershey, Pennsylvania and we will have the newly released Coachmen Chaparral on display, available for walk through tours. Coachmen has developed their flagship fifth wheel over the years to be the best of the best in residential design, quality and value. With each model release, this dependable RV brand has been continually improving for over a decade. The latest 2018 models bring some special surprises in floorplan design and features. Check out the amazing Chaparral 371MBRB with three bedrooms and sleeping space for up to 11. High end features at a value driven price tag is at the heart of the Chaparral’s appeal. 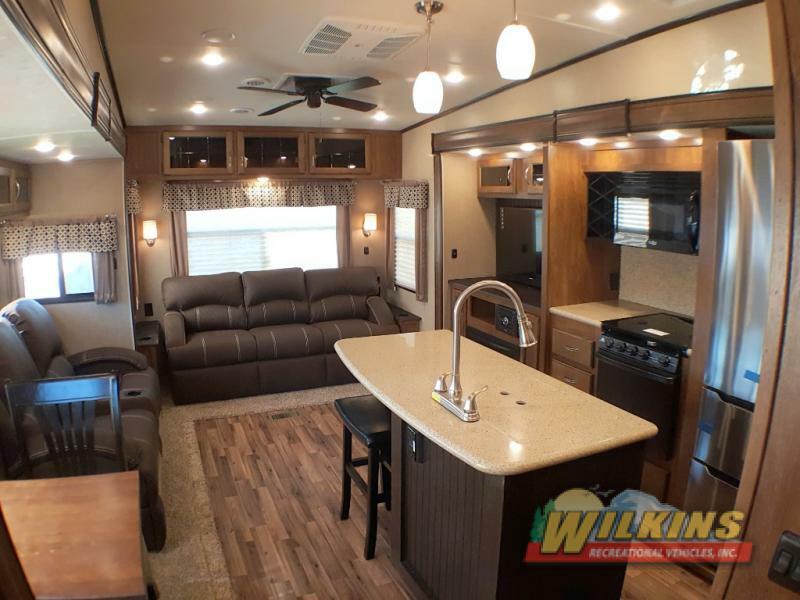 All Coachmen Chaparral models include upgraded interior features such as ultra leather seating, an electric fireplace, memory foam mattress, solid surface counter tops and much more. Get more for less with this luxurious mid profile fifth wheel. The Coachmen Chaparral offers exceptional storage capacity inside and out. Additions such as the removable bike rack (available on the 324, 336 & 360 models) located at the rear of the coach, and a huge pass through storage space with slam latch baggage compartment doors allows you to bring all your favorite items with you on your travels. With improvements in lightweight construction, the Chaparral fifth wheel combines better towability and lighter weights with spacious and luxurious RV living. Save money on fuel and on your tow vehicle. Visit us at the RV Show in Hershey, PA so you can get a close up look at newly released Coachmen Chaparral Fifth Wheel models. 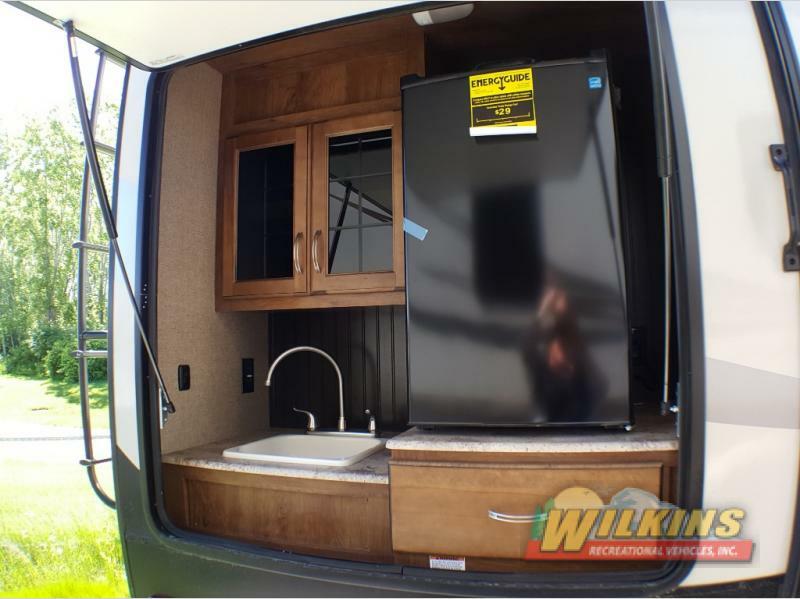 Experienced RV Specialists will be available to answer all your questions about this fantastic RV buy.